Days after picking up an almost record-breaking 13 Oscar nominations, Guillermo del Toro’s The Shape of Water has been slapped with allegations of plagiary by the son of a deceased playwright. On Friday, The Guardian published a statement from David Zindel — son of Pulitzer-winning playwright Paul Zindel — claiming that The Shape of Water unfairly adapted its story from his father’s work. Specifically, Zindel believes that del Toro’s film borrows from the play Let Me Hear You Whisper. To be fair, in both stories, a female janitor at a government facility falls in love with some kind of aquatic creature being subjected to experimentation. In one case, the creature is a talking dolphin that despises warfare. In another, it’s a fuckable magical fish man. So does that seem similar enough for a legitimate plagiary scandal? “We are shocked that a major studio could make a film so obviously derived from my late father’s work without anyone recognizing it and coming to us for the rights,” David Zindel wrote in his statement. A young dolphin at Sea World in 2011 contemplates creative property law. In The Shape of Water, Sally Hawkins’s mute night janitor works at a secret government facility in the ‘60s when she encounters a humanoid fish creature with strange powers and a great deal of intelligence. Within weeks, he’s able to learn sign language and communicate with her, enough that they’re able to escape the facility. Let Me Hear You Whisper, originally a play written in 1969 that aired in 1990 as a TV series, does bear some other striking similarities. The janitors earn the trust of their creatures by giving them food. They also dance in front of fish tanks with a mop. Both creatures come under the threat of vivisection — specifically — and escape with help from their janitor in a laundry cart. The janitor’s friend from the lab also assists in both case. Many say there’s almost too much in common, despite Guillermo del Toro’s claim that he wrote The Shape of Water as an original story with Vanessa Taylor after coming up with the idea while talking with novelist Daniel Kraus. 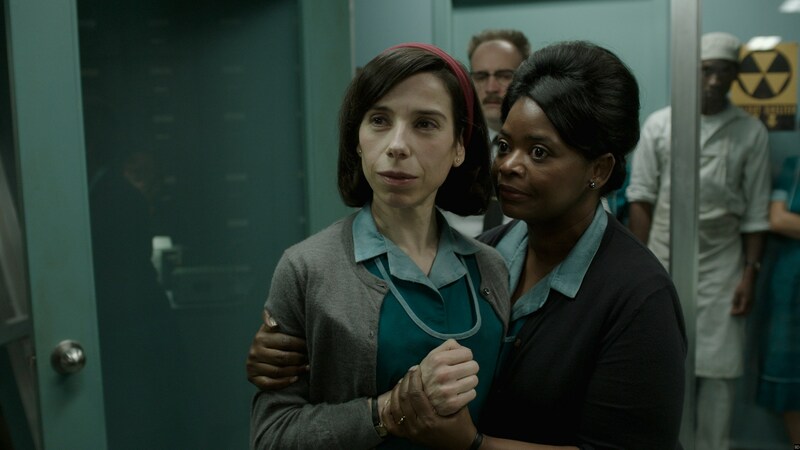 Sally Hawkins and Octavia Spencer in 'The Shape of Water'. The Shape of Water was recently nominated for 13 Oscars total, including Best Picture, Best Director, and — interestingly enough — Best Original Screenplay. So these plagiary complaints seem awfully timely. This sort of thing kind of happens a lot within genre fiction. Drew Goddard and Joss Whedon's 2012 black comedy also saw plagiary allegations. In 2015, writer Peter Gallagher filed a $10 million lawsuit against Joss Whedon and Lionsgate, claiming that The Cabin in the Woods (2012) — a meta black comedy satirizing its own tired brand of horror — stole material from a 2006 self-published novel called The Little White Trip: A Night in the Pines. Both stories involve a group of college-aged kids assailed by murderous forces at a cabin in the woods, who ultimately realize their plight is being filmed, albeit for very different reasons. Harry Potter and Hermione Granger share a sad moment. Back in 2000, even Harry Potter J.K. Rowling had to endure a plagiary claim from a woman named Nancy K. Stouffer. She believed that Rowling stole from her 1984 book The Legend of Rah and Muggles, which included a character named “Larry Potter.” The use of “muggle” in both is remarkable, as is the hilarious inclusion of Harry’s long-lost uncle Larry. Stouffer, as it turns out, submitted fraudulent evidence to the court to support her claim and wound up having to pay a fine of $50,000. The Shape of Water is now in theaters, and the Oscars will air March 4, 2018. Media via Flickr / chris favero, Fox Searchlight Pictures (1, 2), Lionsgate, Warner Bros.